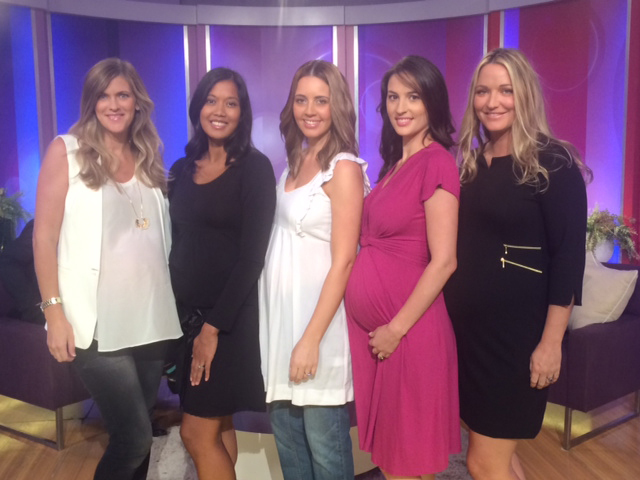 The Channel 9 MORNINGS Maternity Fashion Parade was so much fun and an amazing experience! In the Channel 9 green room waiting before our segment whilst actor Kit Harington was being interviewed downstairs! 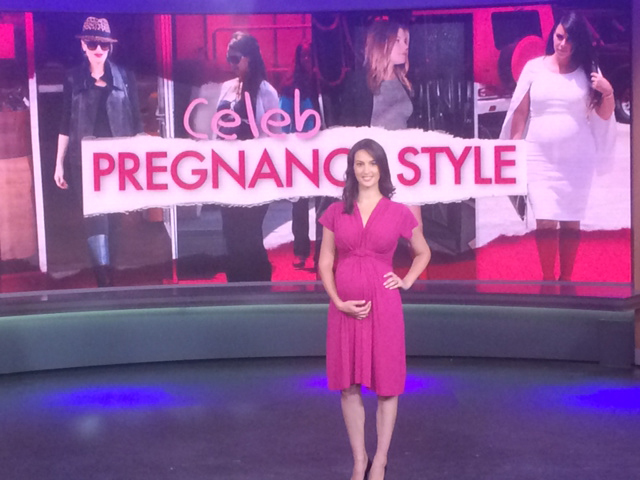 Alicia commanding the stage, while they tested the lighting and loaded the fabulous celeb pregnancy backdrop. Georgia looks sensational in the Zip Detail Dress that Gwen Stefani wore. Alicia brings colour to the catwalk in the Fuchsia Knot Dress which was worn by Kate Middleton. Daniela is super sweet in the White Frill Top worn by Jessica Alba. Vicelle looks phenomenal in the Crochet Trim Dress that was worn by Halle Berry. A big thanks to Bronwyn McCahon (left) the editor of Cosmopolitan Magazine and to Bump Models for providing the talented girls - Vicelle, Daniela, Alicia and Georgia. We were lucky at the end for the chance to take some pics against the MORNINGS backdrop during the add break. 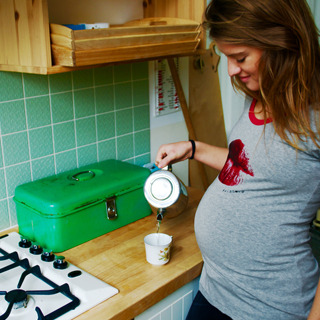 A super big thanks to Flick from Sweaty Betty for organising the whole event!